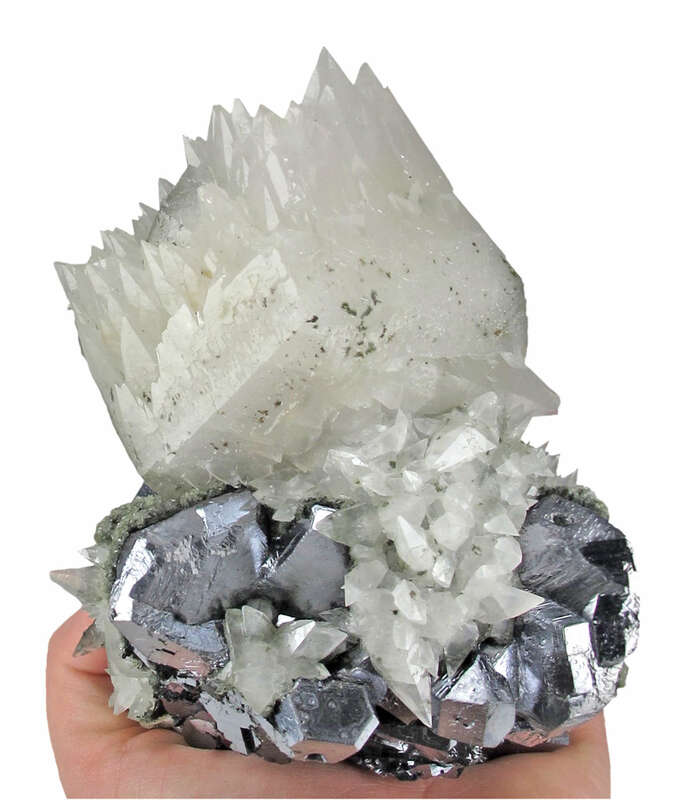 Dramatic large specimen! 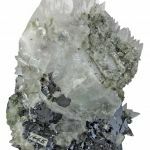 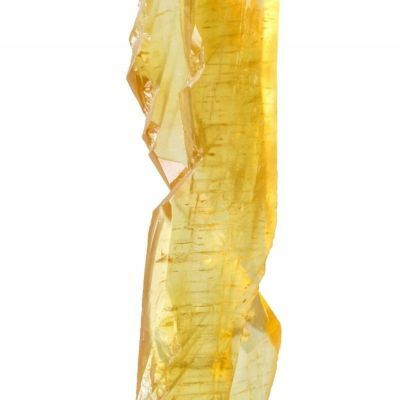 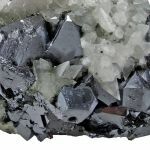 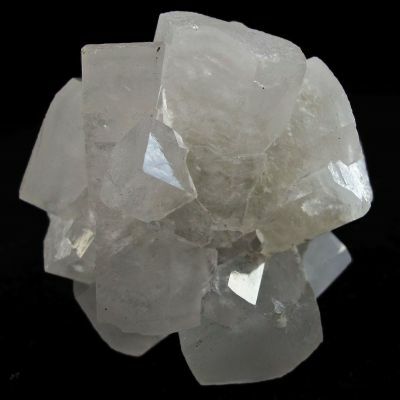 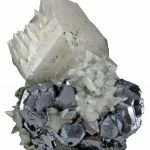 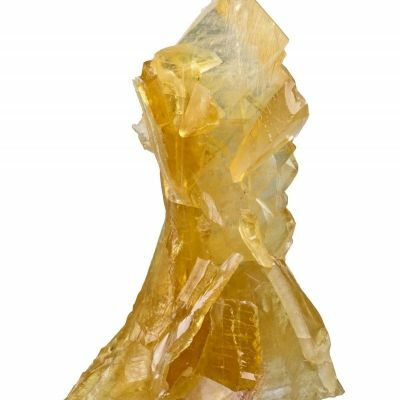 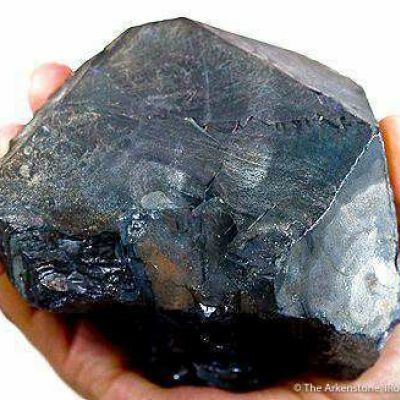 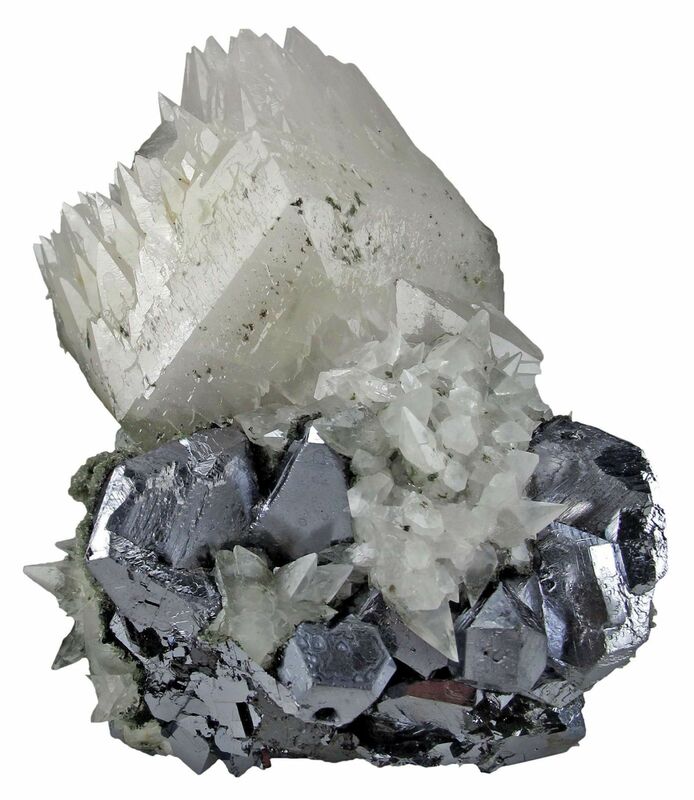 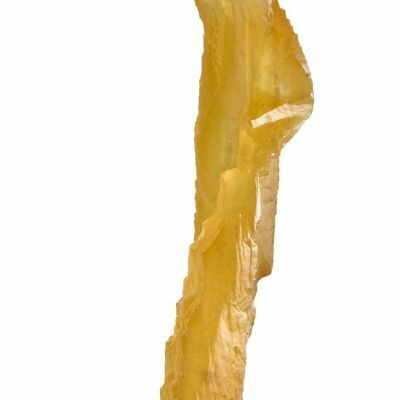 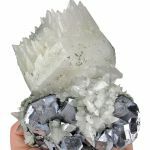 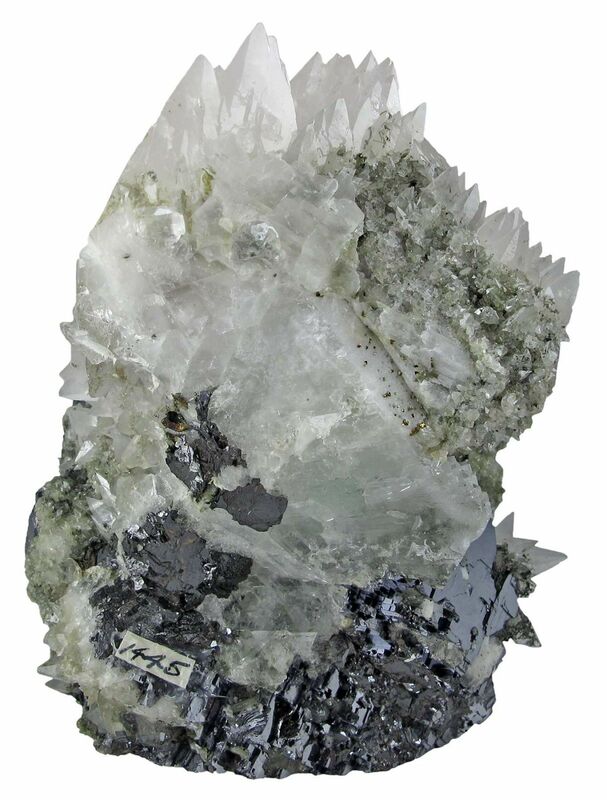 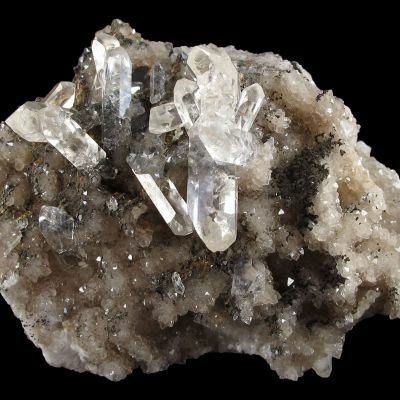 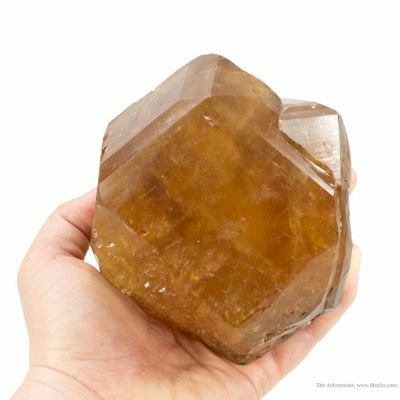 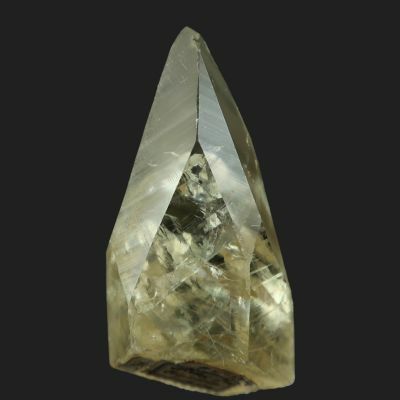 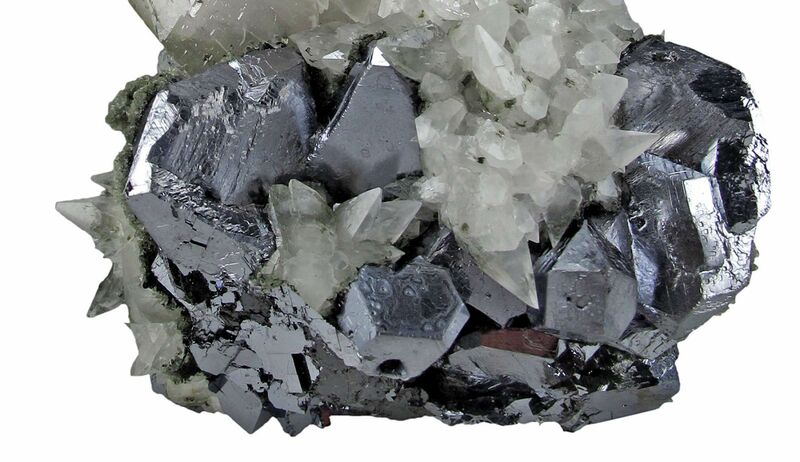 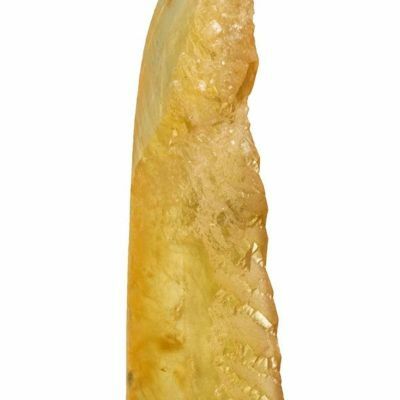 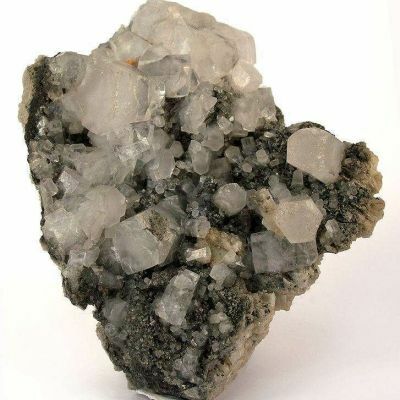 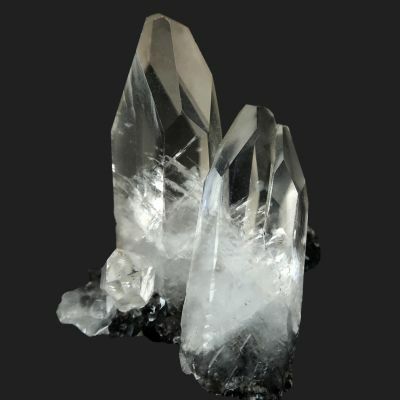 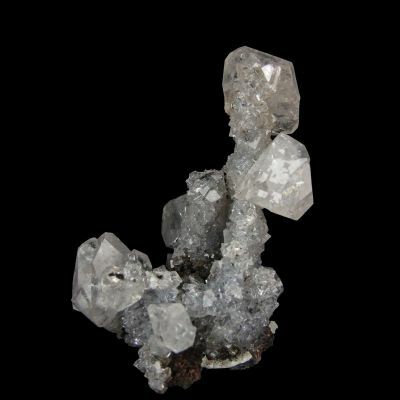 A matrix of splendent, battleship-gray, galena crystals to 4.2 cm across is the pedestal for an unusual, pineapple-shaped compound crystal of lustrous, translucent, white calcite. 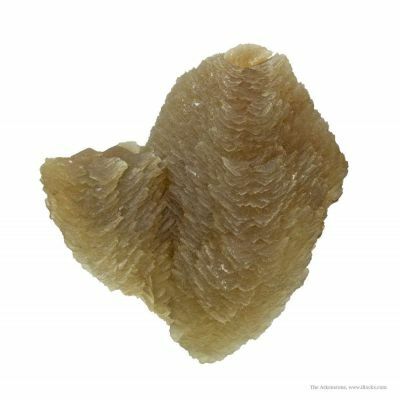 The terminations of the large rhombohedral calcite, which are complete around the top, have "exploded" into many small, sharp "dog-tooth" scalenohedrons. 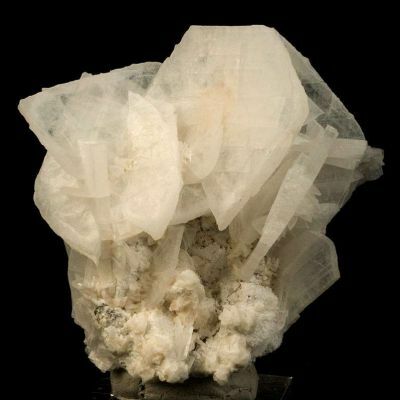 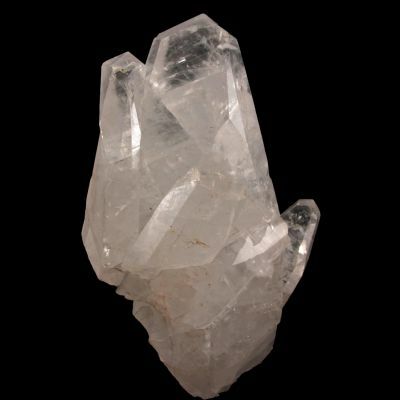 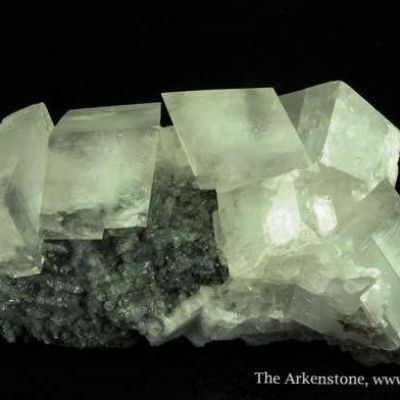 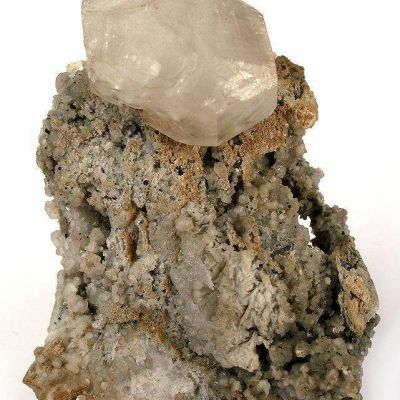 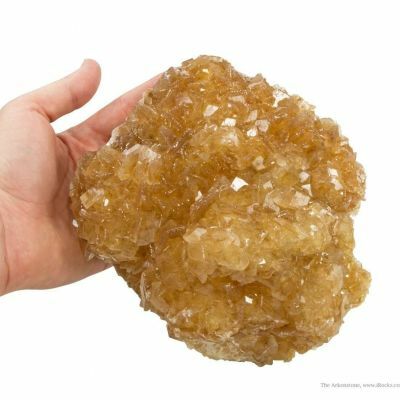 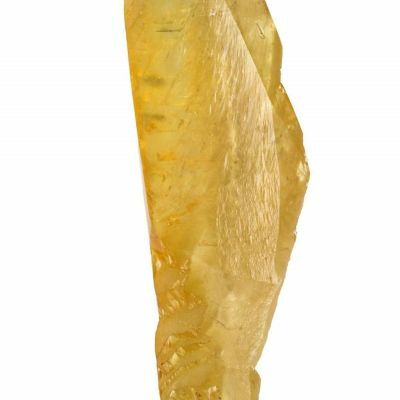 The calcite rests on a fluorite crystal, mostly buried beneath and inside of the overlaying calcite but visible through the (broken off, and thus exposed) backside of the piece.